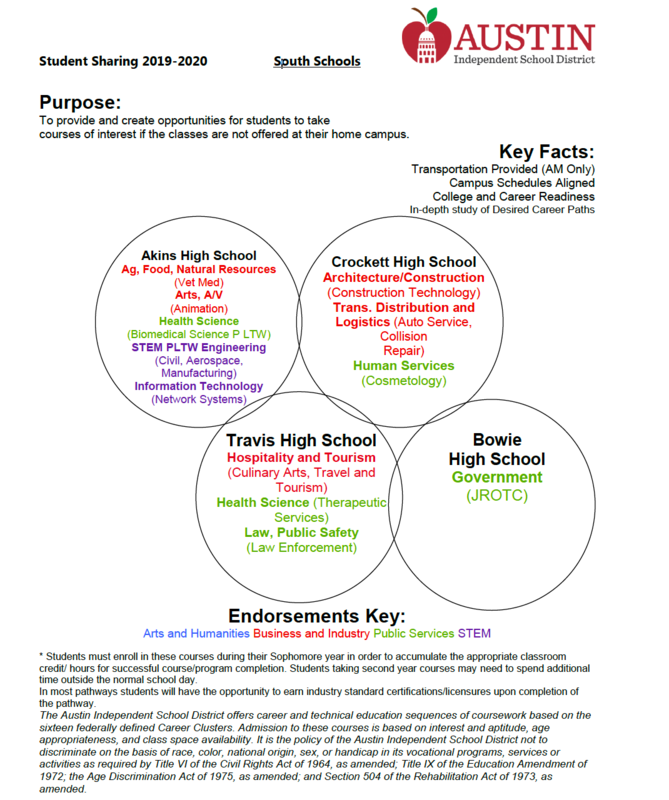 AISD high school students may choose to attend a course at another location due to the shared school program. 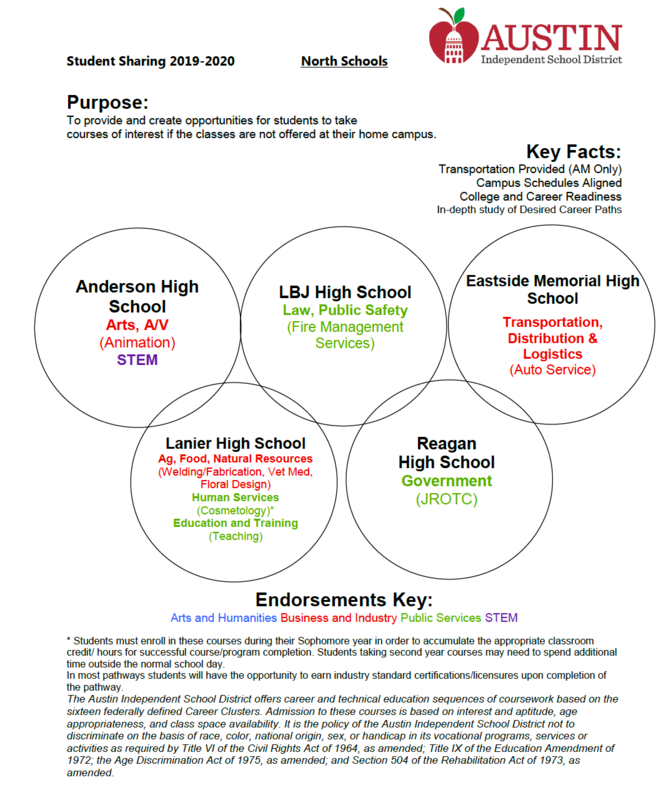 The following documents provide more information on the program. A signed contract must be on file by the day of the orientation in order for students to participate. The Student Sharing Orientation is held each year in August.